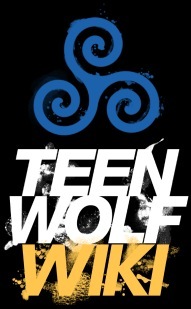 Peter Hale is a hereditary werewolf and as a person is extremely manipulative. After being burned alive then rendered comatose for six years, he became riddled with madness. He killed his niece, Laura Hale, to take her alpha spark so he could fully heal himself and kill the arsonists and conspirators involved in the Hale fire in revenge for his family. In Season 1 Peter, with his new status as an alpha and his knowledge and experience as a werewolf, was able to shapeshift into a grotesque, hulking, beast-like form that could stand upright, and run on all fours. This monstrous form was most likely the result of his thirst for revenge. Peter lost this shapeshifting ability both because of Derek killing him usurping his alpha status and coming back from the dead leaving him greatly weakened. 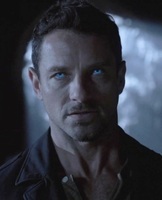 Deucalion, an extremely experienced alpha werewolf, was once a true leader and visionary who became corrupt and turned rogue after he'd lost use of his eyes. He became a power-mongerer, narcissistic, and obsessive. He desired a pack of werewolves, all of whom were of alpha status only, completely submissive to him. When he discovered that alphas can subsume the powers of their own betas by killing them, he killed everyone in his previous pack, then coerced and manipulated other alphas to do the same. 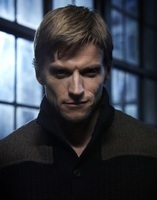 As a result of his heinous legacy, Deucalion became the most fearsome werewolf in the region over a span of ten years and because of all collected power he'd coveted and absorbed, the unique shapeshifters he'd recruited, he became a superpowered shapeshifter, one of most powerful to live, and earned himself the moniker the Demon Wolf. As the fanatical, power-crazy Demon Wolf, Deucalion could effortlessly transform into a human shape with dark blue-gray skin with more demonic than wolf-like features. 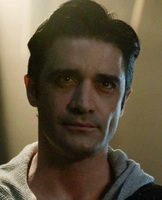 In Season 4, Scott McCall experienced a more monstrous transformation and gained additional fangs. In 4x10 - Monstrous, Scott was in the heat of battle against a team of assassins who were to kill fellow werewolves for profit. Scott saved young Lori Talbot from being executed by an assassin and then attempted to kill the man out of injustice. Giving into his bloodlust, Scott began to transform into a more monstrous and bestial shape with black-gray skin and a darker alpha eye color. When he regained control and spared the man's life, Scott reverted back to his normal form. Sebastien Valet was a psychopath born in the eighteenth century France. Sebastien had no conscience and eventually became a serial killer. He had no regard for human life, no empathy for others, not even his own family and friends. After he became a werewolf, Sebastien ravaged and killed his way upwards to 500 people, and had no care nor remorse, but pride for his carnage and reveled in his unrivaled notoriety and power, becoming known as "la Bete du Gevaudan." When Sebastien became a werewolf, his psychopathy, his evil, twisted personality affected his werewolf transformation far beyond that of any shapeshifter ever seen. His werewolf form was that of an overlarge quadrupedal beast form. His body was oil black, thickly muscled, outfitted with red veins and and an overlarge lipless mouth Sebastien could transform into a beast after his body became shrouded in dark energy and shadows that he could summon, forming his werewolf body.